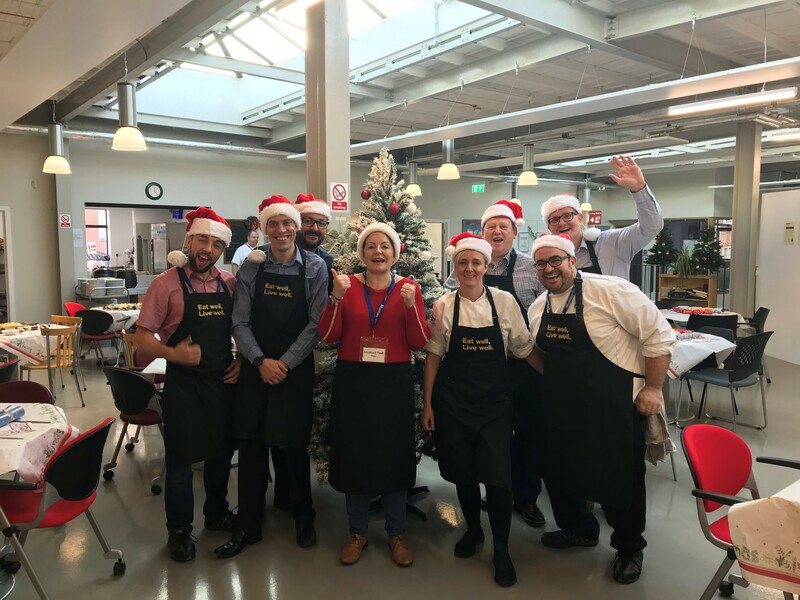 Team Members from across Dine Contract Catering made up of Senior Management and Team members from BookingGo served Christmas Meals to over 100 people at The Mustard Tree, Manchester Christmas celebrations on Thursday 13th December. The Mustard Tree exist because chronic poverty, extreme inequality, and severe disadvantage exist. They have an established track record over the past 25 years, supporting people across Greater Manchester experiencing multiple disadvantage. Whether this be through development of new skills, assistance to find work and secure somewhere to live through providing practical support, friendship, connections into work or improvements to health and wellbeing, Mustard Tree allow people to have new experiences to encourage aspiration.